After a long spring, filled with lots of snow, it seems summer is coming quick, and with it brings heated racing back to Colorado. This past weekend was the 2nd annual Eagle Outdoor Festival with Firebird races being the main event. Starting under beautiful blue skies, the Pro/Open Men and Women took to the course in fury. Getting stronger as the race progressed, Josh Bezecny moved up the entire time, picking off racers every lap while working with Colin Osborn to finish 13th and 14th in strong field. In the women’s race, Kelley Cullen lead the charge for the team finishing on the podium in 3rd place. Suffering a bit from the heat, but still riding strong was Hannah Williams coming home in 6th place. 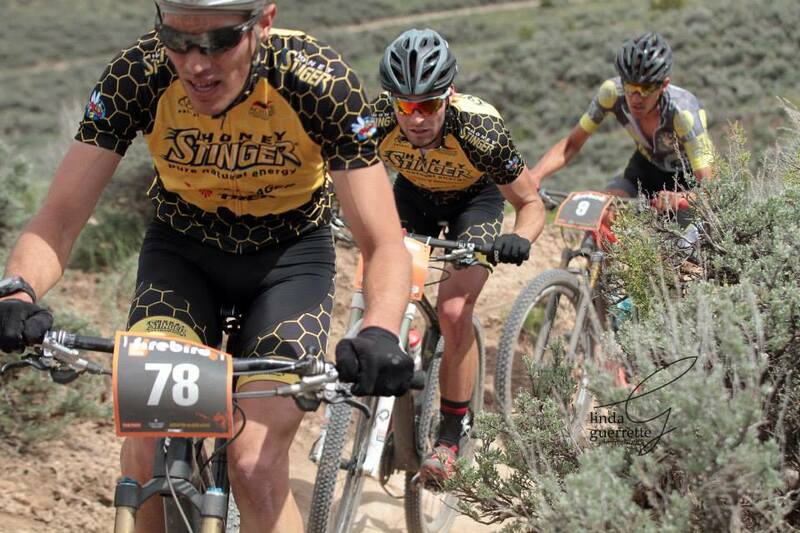 The next weekend, racers will be split between two classic Colorado events, the Gunnison Growler and the Iron Horse Bicycle Classic Mtb race. This entry was posted in Uncategorized and tagged Colin Osborn, Hannah Williams, Honey Stinger/Bontrager Mountain Bike Race Team, Josh Bezecny. Bookmark the permalink.